Tele2 and Telia have agreed to deactivate the the 3G network in their joint company, Swedish UMTS Net AB, Sunab by the end of 2025. Swedish UMTS Net AB, Sunab, is responsible for building, owning, and operating Tele2’s and Telia’s common 3G network. Today, the 3G network has over 6,000 base stations that will gradually be phased out or reused in other network expansion, which will result in cost and energy efficiency for Tele2. The companies expect significant cost and energy efficiency gains. They said 3G deactivation is a natural part of future network evolution. "This initiative is further proof of Tele2's challenger spirit. The transition from 3G to 4G is completely in line with our network strategy to move away from legacy networks, and move towards next generation networks. As Sweden’s most energy efficient network provider, we are extremely proud to accelerate our development , and become even more economically and environmentally efficient, says Samuel Skott, CEO Tele2 Sweden. Huawei achieved a peak download rate of 63 Mbps in a laboratory test of 3-Carrier-High Speed Downlink Packet Access (3C-HSDPA). The result represents an improvement of 50% increase in downlink user speeds compared with Dual Carrier-High Speed Downlink Packet Access (DC-HSDPA). Release10 of 3GPP introduces 3C-HSDPA technology, effectively aggregating three carriers for a single downlink subscriber over one or two mainstream UMTS bands at 850-900MHz and 2100MHz. Huawei said continuous improvement to HSDPA potentially benefits billions of users currently on UMTS networks worldwide. "This is a timely and important milestone in a fast expanding world of smart phones, growing mobile video demand and real-time large file download expectations," said Wang Yixiang, President of UMTS Domain in Huawei. "The relevance of higher speed downlink is also of significance for a growing number of multi-carrier networks, especially 3G 900 MHz and 2100 MHz band network deployments where improving download speeds through multi-carrier aggregation technology is critical for maintaining user experience and retention." Ericsson and Turkcell demonstrated 3-carrier High-Speed Downlink Packet Access (3C-HSDPA) with a top speed of 63 Mbps. The demo was carried out in the 2.1GHz band in a WCDMA commercial network using three 5 MHz carriers for downlink and two 5MHz carriers for uplink, which were all within the 2.1GHz frequency band that is owned by Turkcell. The demo used Enhanced Uplink Multi-carrier (EUL-MC) to achieve an 11.5 Mbps uplink. The trial used core network and radio access network nodes supplied by Ericsson. The test utilized a feature that will be included in Ericsson's software release 15A and was conducted on a smartphone powered by a Qualcomm processor with its integrated Qualcomm modem. Turkcell currently operates a Dual-Carrier HSDPA network supporting speeds of up to 43.2 Mbps in downlink and 5.76 Mbps in uplink. Bulent Elonu, Chief Network Technology Officer, Turkcell, says, "At Turkcell, Turkey's leading telecommunications and technology company, we are following global advancements closely to provide the latest technology to our customers as quickly as possible and to ensure excellent customer experience. We have been following three carrier development plans as the next step from two carrier technology for a long time. In the past, we have offered our customers a number of innovative solutions with Ericsson and Qualcomm Technologies. Today, this successful demonstration enabled us to introduce another groundbreaking innovation. Data download using three carrier has been tested for the first time on a network globally. 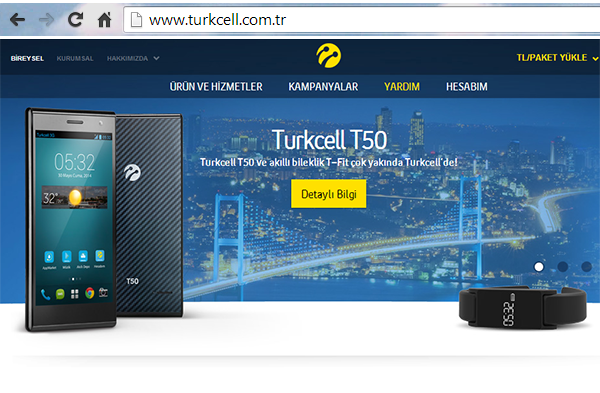 We are proud that Turkcell has successfully hosted the first global testing of this promising future technology." Marvell announced a single unified 3G platform featuring its next-generation single-chip application and communications processor System-on-Chips (SoCs) combined with its Wi-Fi + Bluetooth + FM radio + Near Field Communications (NFC) + GPS chips, RF transceivers and integrated PMIC solutions. The unified 3G platform supports both Time Division Synchronous Code Division Multiple Access (TD-SCDMA) and Wideband Code Division Multiple Access (WCDMA) markets. With pin-to-pin compatibility, original equipment manufacturers (OEMs) can leverage the same printed circuit board (PCB) and ID designs, and operating system, application and multimedia software to address both the WCDMA and TD-SCDMA markets, which is expected to greatly simplify design cycles and reduce unnecessary cost. Engineering samples for the unified platform are available now. "I believe Marvell's advanced, single unified dual-core 3G platform will deliver high-performance, affordable smartphones and tablets to the global mass market. 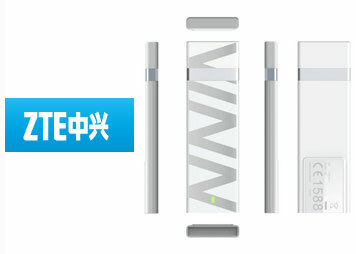 In the new era of the 'Connected Lifestyle,' I believe it is important for mobile devices, such as tablets, to have a highly integrated single-chip solution, combining a high-performance application processor and an always connected modem with high-end graphics and HD video capabilities," said Weili Dai, Co-founder of Marvell. "I am very proud and thankful for Marvell's global team of talented engineers, partners and Tier-1 customers in the mobile ecosystem, for their hard work, innovation and dedication to move the industry forward faster." Huawei introduced a UMTS Small Data Packet Storm solution that can double the number of mobile broadband users with smartphones that can access the network simultaneously. Huawei calculates that 80% of UMTS usage lasts less than 10 seconds and 60% require less than 1kbit. However, the use of smartphones is creating "small data packet storms", which are different than traditional voice services and high data rate downloads. When a smartphone user frequently refreshes pages on a site being browsed, the total amount of consumed traffic is very low. In scenarios where smartphone penetration is high, with many simultaneously connected users, air interface efficiency decreases greatly leading to decreases in capacity, user experience and total connected number of users. This is a "small data packet storm." Huawei said its Small Data Packet Storm solution has been deployed commercially in Canada, Europe, Hong Kong and other regions. Huawei announced a new HSUPA (High Speed Uplink Packet Access) record for peak single-user uplink data rates with 20 Mbps using DC (Dual Carrier) and 16QAM (Quadrature Amplitude Modulation) technologies. 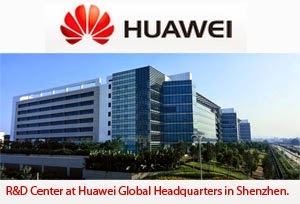 Huawei said its record-setting 20 Mbps uplink achievement for the 16QAM higher-order modulation technology and the DC convergence technology was based on its unique UMTS algorithms.